Recently the HouLiao! 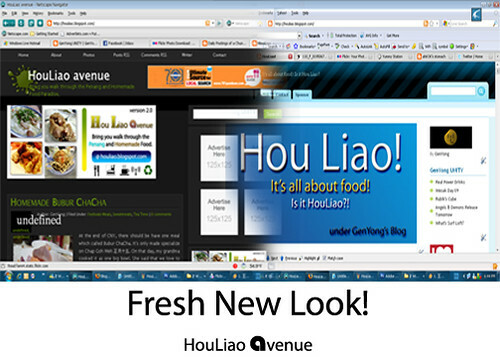 was gone and now was changed the new name which called HouLiao avenue. Although is the new name but the link is as usual, same writer and same photographer. Anyway, I would like to apologize to my readers, recently I can't manage to open the HouLiao! and update so caused the updates not frequent. The new HouLiao avenue bring you to the Penang Corner and also show up Homemade food in this blog.